FUE hair transplant is also known as follicular unit extraction. This is a relatively new method of hair transplantation that offers a less invasive means of harvesting hairs from the donor site. The basic technique is to use precision tools to harvest the hairs one follicle at a time, and then plant them into tiny slits in the balding areas. This differs from the follicular unit transplantation (FUT) method in which a strip of hair is removed from the donor area and then the follicular units are harvested out of the strip. As with any medical technique there are pros and cons to the FUE hair transplant method. One obvious benefit to this method is that it does not leave a large scar on the donor area. That is not to say that FUE is completely scar free, but the scars that it does leave are much easier to conceal. For many patients, this is a huge deciding factor when choosing their desired method of transplantation. Another benefit to this technique is that it is much less invasive than other methods. Typically patients can resume strenuous activity shortly after their surgery, and healing occurs very rapidly. One of the disadvantages of the FUE method is that it is easier to damage the follicles upon extraction, and therefore the process is less efficient than FUT. The reason for this is because a small cylindrical punch is used to separate the hair and surrounding tissue from the scalp. If the punch is not aligned perfectly, it can cut off the bottom of the hair follicle as it punches the area out. This damages the hair and weakens its chances for survival. Another disadvantage is that the entire donor area must be shaved before the procedure. For some people this is a major issue, and for others it is not a major problem. In general the FUE hair transplant method is less efficient than FUT. It is much more difficult to harvest an adequate amount of hair for large procedures. The surgery typically takes much longer and is therefore more expensive than other methods. With that said, many patients still prefer this method due to the fact that they are not willing to have a large scar on the back or side of their head. The pros can outweigh the cons in certain circumstances. FUE has bacome the norm and it is not only painless, scar-free and affordable – it is cheap when going abroad for hair loss surgery! Typically an FUE procedure is recommended for people who do not require a large amount of work. This is usually a younger client who may still be considering the possibility of shaving their hair short at some time in the future. The benefit of having much less noticeable scars is a major factor in the decision between hair transplant techniques. As with most medical situations, each case is different and much be evaluated separately. Hair transplantation facts and figures are information that must be disseminated to those patients who opt for this procedure. However, the obligation of spreading these pieces of knowledge does not only lie at the hands of the surgeon, as each patient must also do his/her part in recognizing these bald truths. Considering the jumbled information about hair surgery available on the web, patients may become confused of what is true or not. Verifying Internet data first is often necessary, but unfortunately, searching for substantial and authentic information is lengthy. To save one’s time and effort, here are five reliable, concrete, and authentic facts about hair implants. 1. Not all individuals are suitable for a hair loss surgery. There are certain considerations that have to be taken first before a person can be subjected to a hair transplantation. Factors such as the age of the patient, the degree or stage of the hair loss, the associated risks, the potential survival rate of the grafts, the capacity of the donor and the desires of the patient must be evaluated by the surgeon first before deciding through the course of the procedure. If the patient does not meet the criteria, which comprises a successful hair surgery; then other non-surgical options would have to be considered. 2. Male pattern baldness occurs in 50% of the older population. Generally, males are more predominantly inclined to have hair loss problems than females. A total of 50% of the American male population above 50 years old suffers from male pattern baldness. Some men opt to mask their problem by using wigs; while others use hats and head wear to camouflage their balding head. On the other hand, those who are more confident with surgery go for hair transplantation. 3. Hair transplants are permanent. Once a patient commits to go for a hair transplant surgery, there is no turning back. If the head has undergone the procedure, the surgeon can no longer undo all the accompanying changes that would occur to the patient’s head, may it be with the texture of his/her head (if scars appear) or to its over-all appearance. If the patient doesn’t like the results of the hair treatment, there is nothing that the surgeon can do to revert back the scalp to its pre-surgery state. This is an important warning for patients: before accepting a surgery, discuss it with the surgeon first. 4. Various factors are considered in choosing the best hair transplant technique. There are two recognized techniques (scalp-to-scalp): Follicular Unit Extraction or FUE and Strip Surgery or FUT. Before deciding on what technique among the two is to be utilized for a patient, the surgeon must first take into account the patient or the donor’s hair characteristic, density, caliber, age, expectations, and determined goals. Each technique may yield different results for a single patient and that is why, surgeons must do a thorough “cross-matching” first before initiating the best technique. 5. The grafts may not grow new hair. In contrast to the idea that hair transplantation is a flawless procedure, it may not be the case all the time – and this is one of the proven facts. There are instances that the hair replacement becomes a failure, and this happens when the grafts fail to grow new hair. The harvested grafts, or the hair follicles may die if it were damaged during handling. More often, the culprit for the grafts’ demise may not be identified solely – as there are several factors, which may cause damage to the grafts such as: the surgeon’s inadequacy, the patient’s uncooperativeness, and the negativity of the over-all circumstances during and after the surgery. For this event, a repeat procedure is often necessary. Did you know that transplantation of hair could be summarized in digits? What most people aren’t aware of is that hair transplants are proliferating in number, year after year; and that these figures are not merely jumbled numbers – but that they also reflect the over-all status of not only the peoples’ hair loss issues, but also how many percentage of the society suffers from this condition. About 98, 727 hair restoration procedures took place in the United States in 2008, followed by 78, 822 in Asia. Europeans have had 32,320, followed by the Middle East with 20,647. Mexico has 13,102 and Canada has a rather meager 5,268 hair restorations in a year. Australia comes last with only 3,116. Speaking of gender, worldwide, around 84.9% of all hair restorations were conducted to male patients; yet this number went down from 86.2% in 2006. Men in their 30s is the largest group to subject themselves to a hair restoration with 31.2%. On the other hand, only 15.1% of females had a hair restoration last 2008, but in contrast to the male’s figures, this percentage has gone up from 13.8% in 2006. ISHRS has stated that these figures are not a hundred percent accurate; these numbers were collated through a research survey in cooperation with plastic surgeons worldwide. Nevertheless, these facts and figures speak for themselves – hair transplantation is the choice of thousands of hair loss patients worldwide. 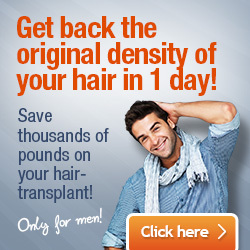 Go abroad and save on your local hair transplant cost! 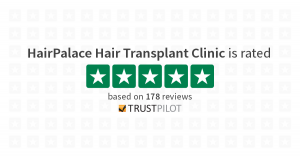 If you are considering a FUE hair transplant it would be wise to contact one of the doctors who perform this procedure to discuss it with them directly. Many of these professionals can even make an assessment of your hair over the internet. All you have to do is send them some pictures and they will let you know if you are a good candidate for FUE. 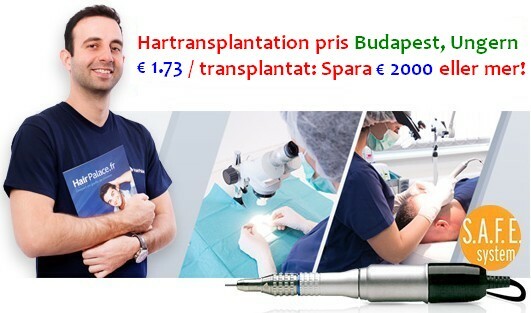 Going abroad to popular hair transplant clinics in Poland, Turkey or Hungary can save you a lot of money! Low cost budget airlines will get you to the hair clinic destination within 2-3 hours. Transfers and accommodation are usually part of the hair travel package. You spend 1-2 days in a foreign environment but mind you – you will get a lot. You save about 60-70% on your local hair treatment cost and your whole life will change once you regain self-esteem after getting your hair back. Patients from Ireland, UK or Sweden have very good opinion on the results. You can take a look at our patients’s video testimonials as well as real life before and after hair transplant images for your own evaluation. Are you looking for best places for hair transplantation in Europe? Have you heard of Hair Palace Budapest, Hungary? Are you interested in hair transplant abroad cost and treatment prices? Which is the cheapest hair transplant clinic in Europe? Professional experienced hair surgeons can stop hair loss problems such as receding hairline or thinning hair on the head top easily and they provide lasting and permanent solutions. Devote 1-2 days of your life for the surgery, follow post operational instructions in the next few months and you will experience your new hair growth. For more details study our free consultation for hair transplant page! You do not have enough hair on your donor area? No worries! With FUE technique it is possible to use the hair from other parts of the body. Your beard or hair from the chest might help in certain circumstances. It is very common among men that they have more hair over their body than on their head. Consult a specialist to find out whether you can use BHT in your case. Get hair transplant surgery in Budapest, the leading hair tourism destination in Europe! Big savings of 70% on UK prices! Ask for a unbiding offer tailor-made for your hair loss surgery needs! Free consultation and advise! FUE hair transplant cost information for UK patients - Get hair loss treatment abroad and save in Budapest, Hungary!